In the first of its kind, the promoters of a music festival will run the majority of an event via blockchain technology. This particular niche in the music industry has a deep-rooted problem with scalpers, those people who buy a large number of tickets at launch and resell them at exorbitant prices. But with blockchain overseeing ticket sales all the way to the start of the event, this sort of egregious practice will be greatly reduced or maybe even completely eliminated. At least that’s what the promoters wish to accomplish. The event, OUR Music Festival or OMF, will be held on Oct. 20 at the Civic Center Plaza in San Francisco. Popular artists like Zedd will headline the occasion. People attending the event will use a mobile app in order to view ticket purchases on the open digital ledger, according to Phys.org. "The way ticketing works now, it is just sort of accepted by everyone and there are obvious problems from scalping to counterfeiting to fraud to insane fees," said Justin Blau, the DJ better known by his stage name 3LAU, who formulated the idea of using blockchain for the festival. Artists, promoters, and concert organizers have been trying to put a stop to scalper activity that’s rampant in the music industry. The problem was that there was no efficient way to curb it -- until blockchain technology came along. "You won't have Craigslist selling paper tickets to Coachella anymore once ticketing is on the blockchain," Blau said. Moreover, the DJ said that blockchain will not only oversee ticket sales and admission to the event but will also look to incentivize fans who frequent festivals. For instance, those who buy tickets early will receive cryptocurrency rewards, and so will those who promote and encourage their friends to attend such events. Their earned virtual currencies can then be spent on food, drink, and upgrading their VIP passes. Blau said that he sees this sort of operation as akin to what airlines do with frequent travelers, who earn flight miles which can eventually propel them to elite status. 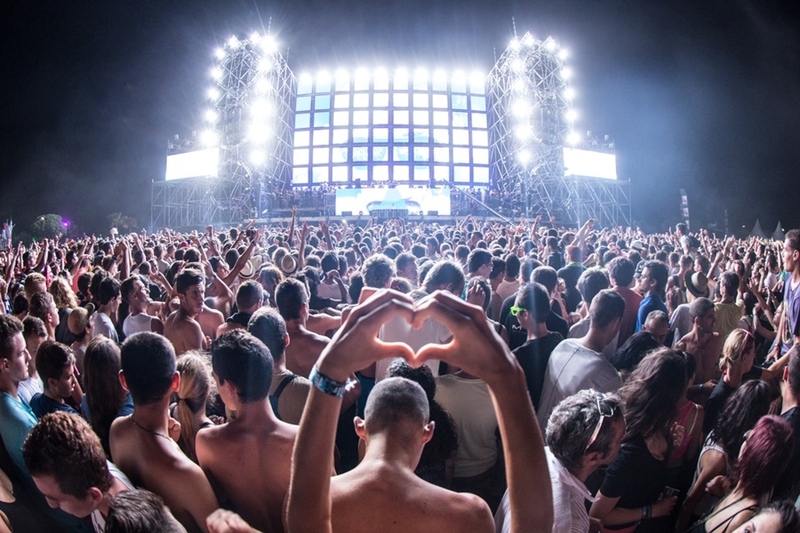 Moreover, the DJ also sees the potential of blockchain to bolster the relationship between fans and promoters by giving the fans the chance to choose which artists would be featured at events. "Right now it's one or two people sitting behind a desk saying this is the artist who's going to make us the most money in this place. But they don't even ask the fans. It's very inefficient," Blau said. The pilot festival will act as a gauge to identify inefficiencies that might turn up using this new system, which can then be remedied at the next events, improving the system until the promoters attain a perfected process. Tickets to the OMF are worth $19, a reasonable price for an event where headliners such as Zedd and other prominent artists will be performing. Along with Blau, festival organizer Prime Social Group and blockchain entertainment company SingularDTV will also be involved behind the scenes to ensure that the event goes swimmingly. Blau is planning to fly the OMF over to Barcelona and Japan in the next two years. In the meantime, his team and everyone involved at the organizational level will tweak their system until they’re confident that it is as flawless as they can make it.